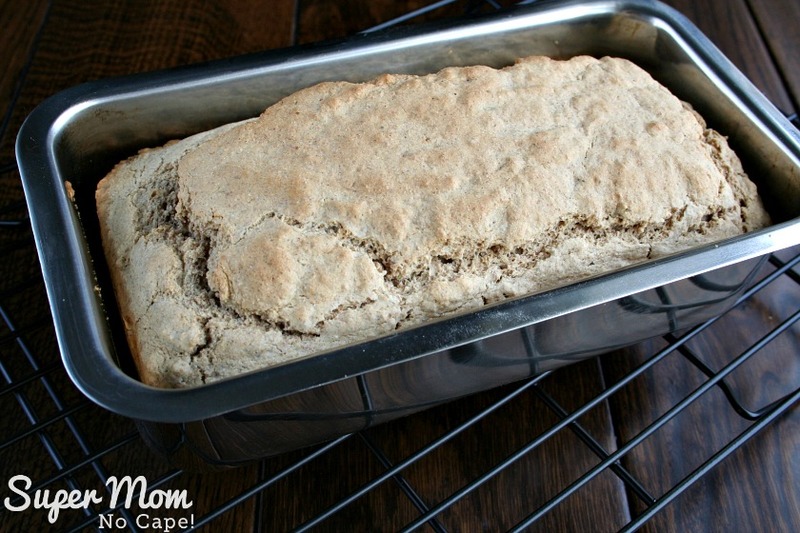 Herbed Beer Bread - Super Mom - No Cape! 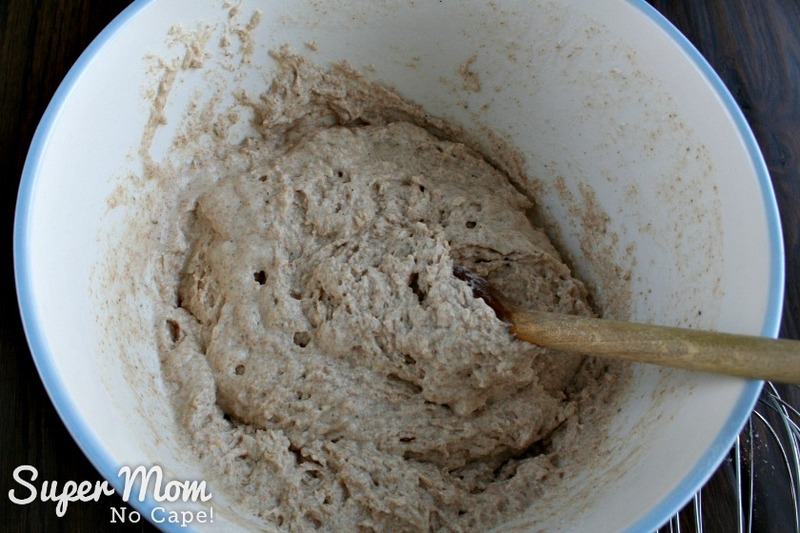 Love bread but don’t have time to make a traditional yeast bread with all the mixing and kneading and waiting for it to rise? 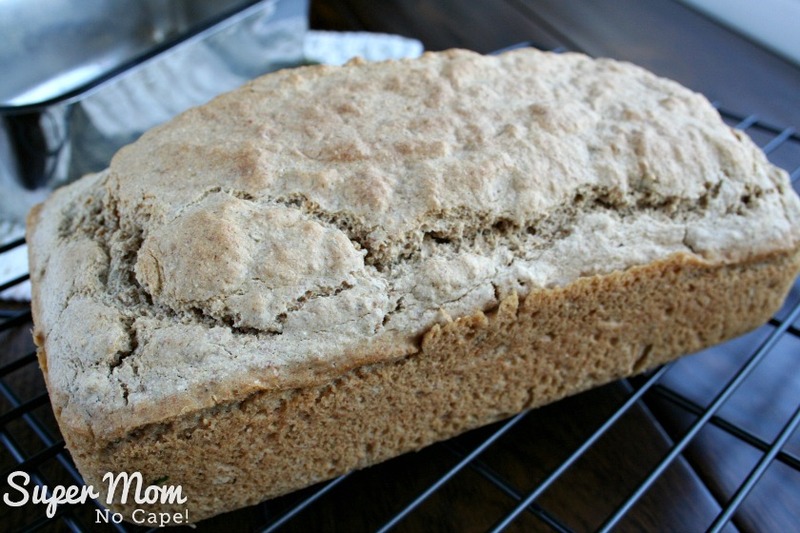 Then I’ve got the perfect quick bread recipe for you! 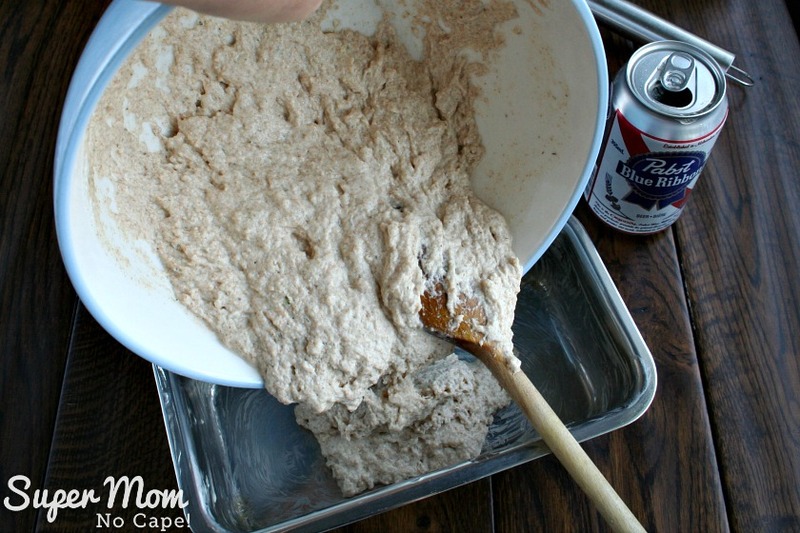 The recipe for this Herbed Beer Bread was given to me by a friend when Dave and I were first married. 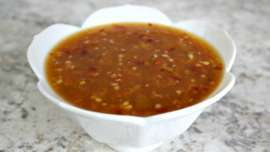 It’s one of our family favorites and I often make it to accompany Homemade Bean Soup. Or this Whatever’s in the Pantry Soup made with whatever ingredients I have on hand. I also sometimes make it to go with Beef Stew instead of the dumplings I usually make. 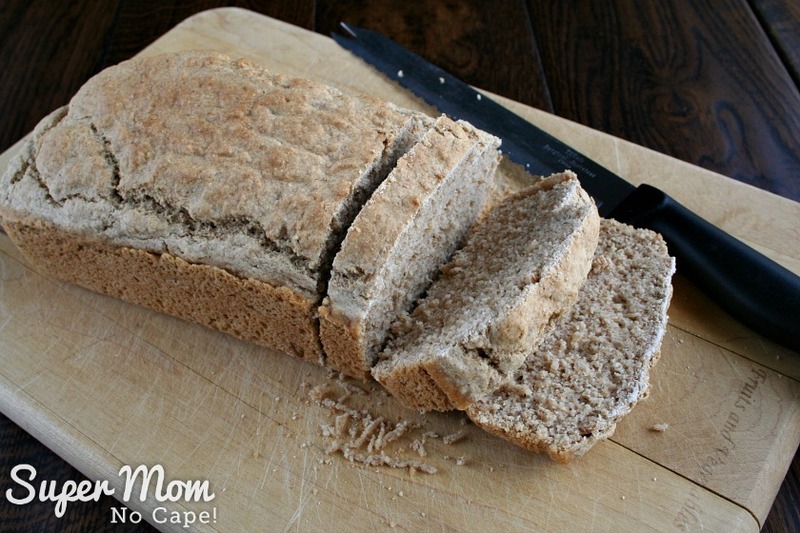 But I’ll let you in on a little secret… if you make this bread early in the day, it might be best to hide it… otherwise it won’t make it to supper time. Grease a loaf pan well. 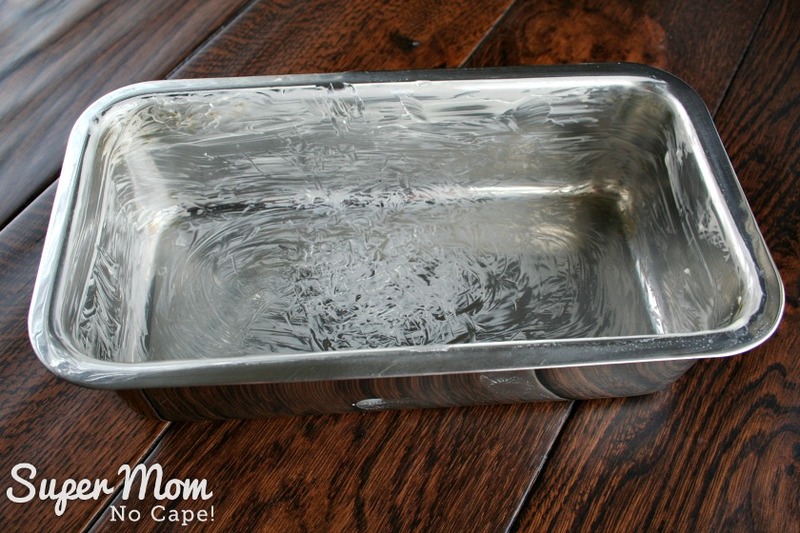 I really like these stainless steel Norpro loaf pans. Stir with a whisk to mix thoroughly. Create a well in the center. Pour in one can of beer. 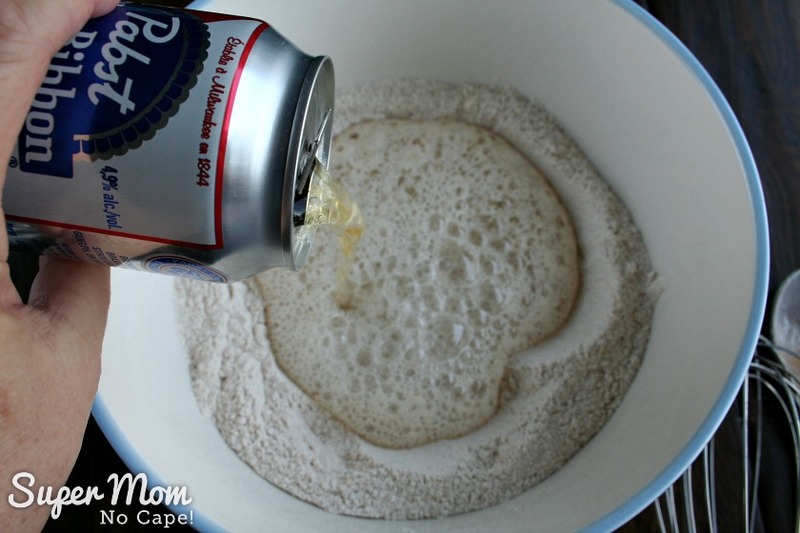 Mix the beer and dry ingredients together. You want everything mixed thoroughly but you don’t want to beat out all the bubbles from the beer. 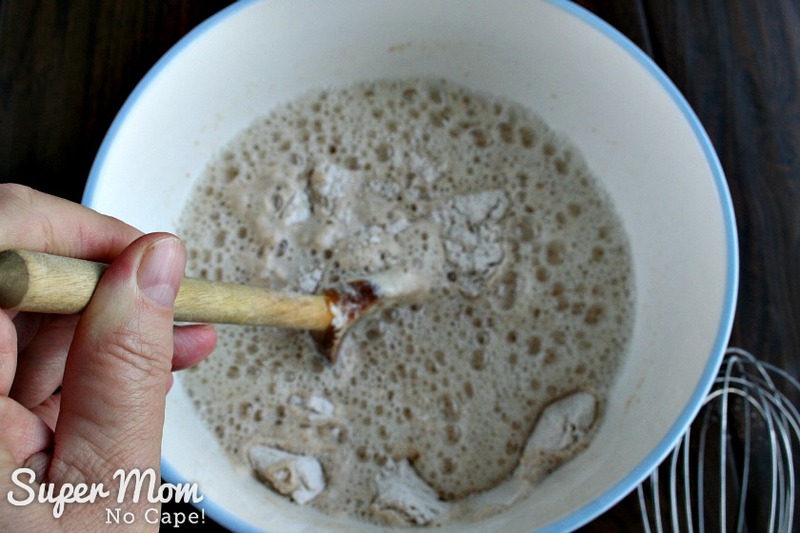 Scoop the batter into greased loaf pan. 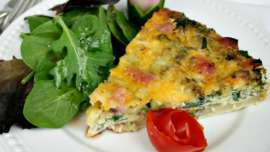 Bake at 375ºF for 45 to 50 minutes or until top is crusty and golden brown. Note: If you are using a glass loaf pan, set the oven temperature to 350ºF. Remove from the oven and allow bread to sit in the pan for 5 minutes. 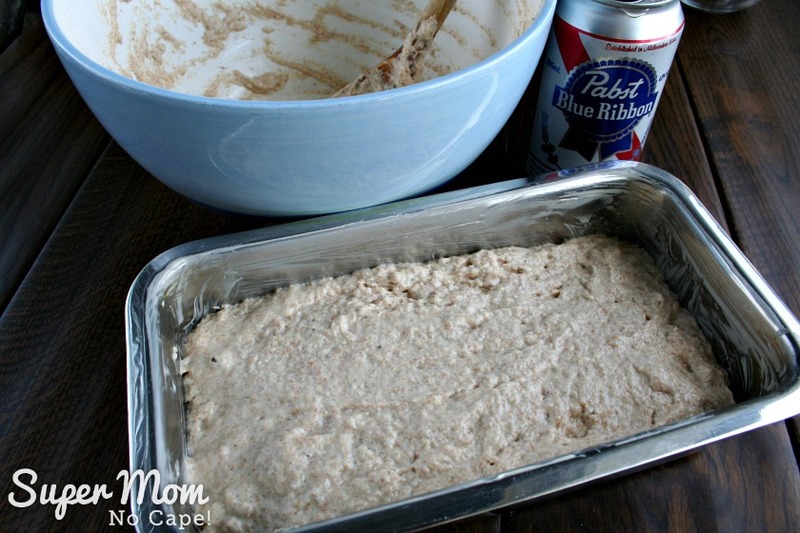 Turn the bread out of the loaf pan and allow to cool. 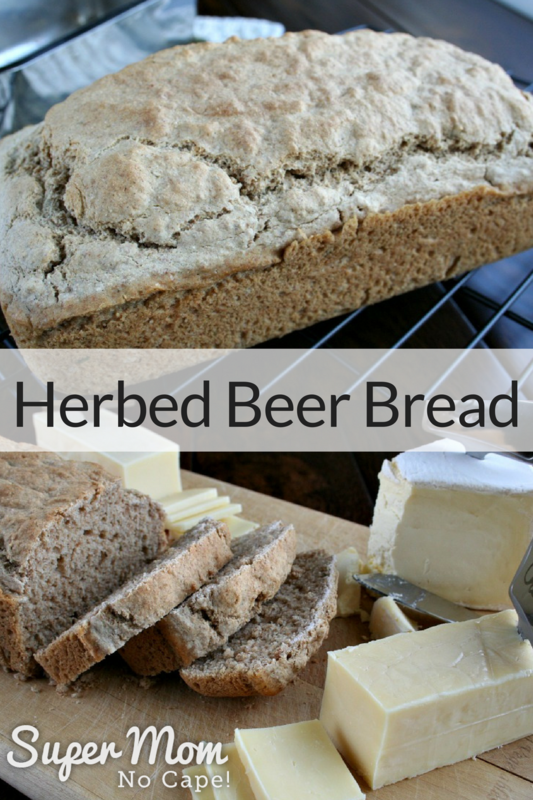 As I mentioned above, Herbed Beer Bread is a wonderful accompaniment to soup or stew. But it’s also great to serve at a party with a selection of local cheeses. 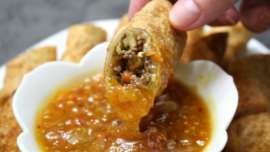 Want more ideas for how to use this recipe? 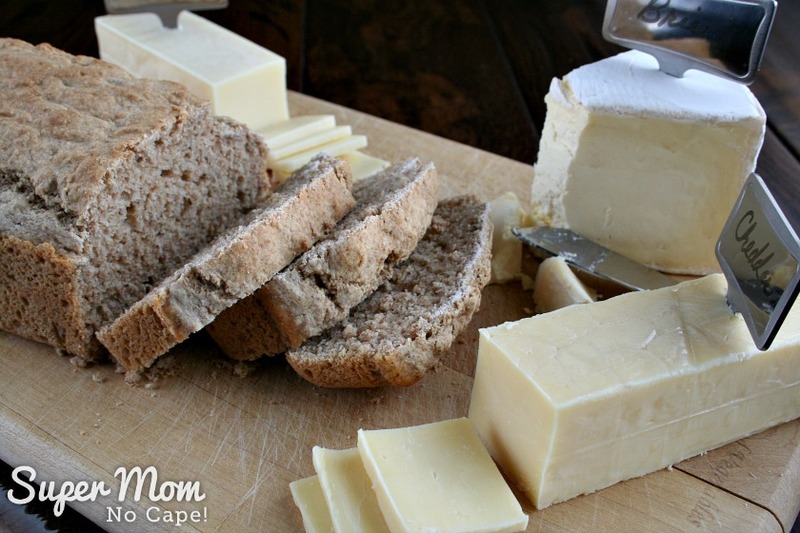 Homemade bread makes an awesome gift! 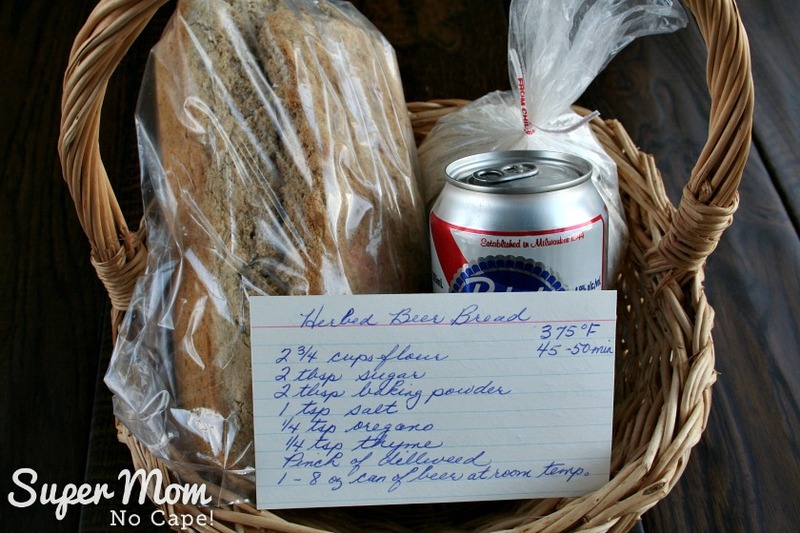 Add a loaf of Herbed Beer Bread to a basket along with a bag of the dry ingredient mix, a can of beer and of course, don’t forget to add a hand written recipe card. I always have baskets on hand for gifting and you can too! 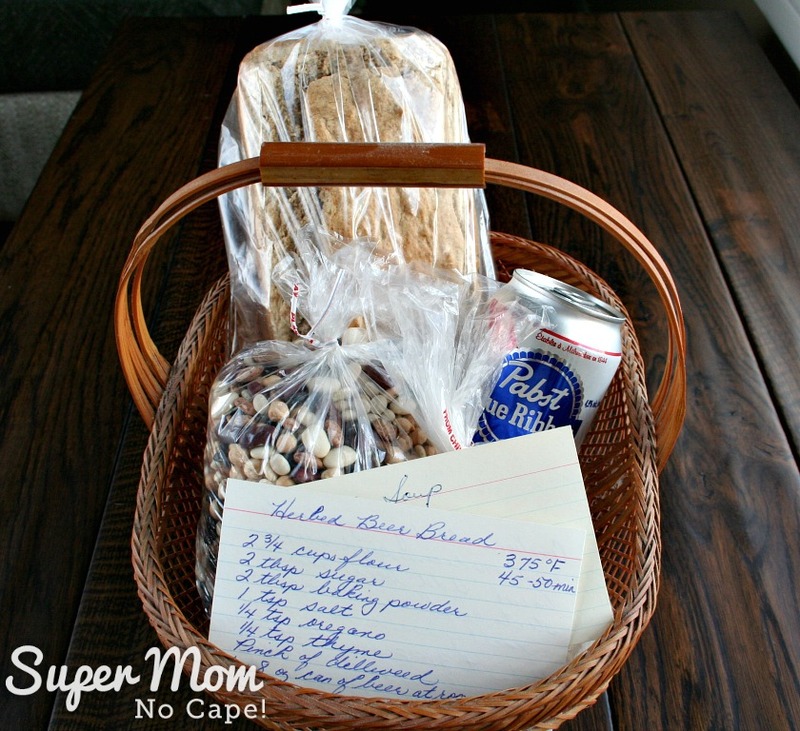 For a larger gift basket, you might also like to add a small bag of homemade Dried Bean Soup Mix along with instructions for how to make the Bean Soup. Pin this recipe for future reference by clicking on the Pinterest button under this post. Our 24 year old saw me looking at this page and asked what it was (when he saw the can of beer) – I told him it was beer bread 😀 His reponse? “Sounds great!” … lol! This bread looks delicious. I am looking forward to trying it. I want to give this bread a try. 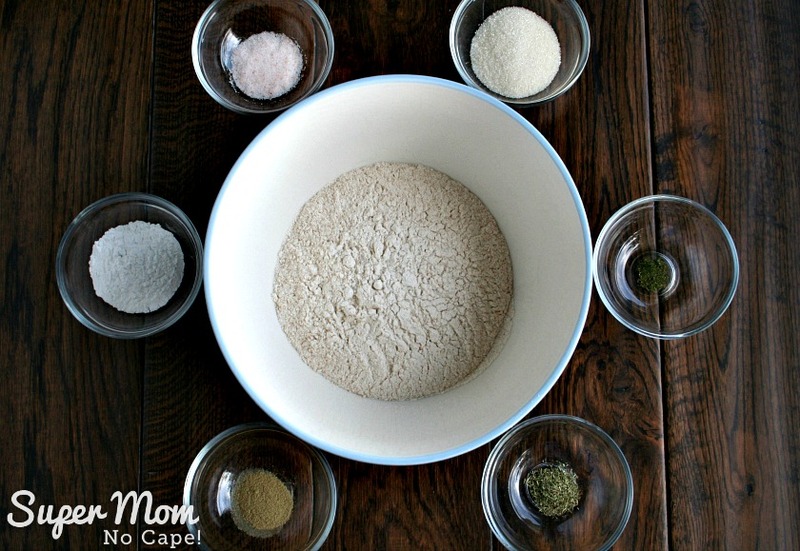 I was wondering if I could use another flour in place of the Red Fife wheat flour? 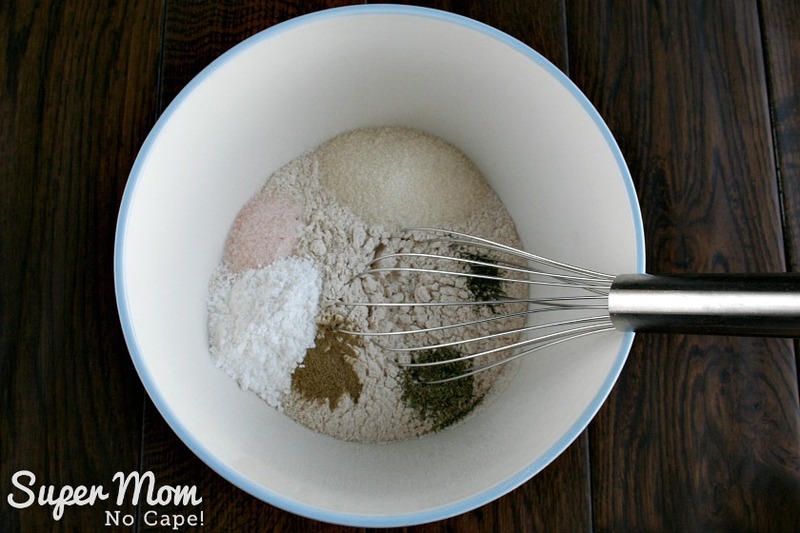 Absolutely, you can use a different flour. You don’t need to use two different flours. 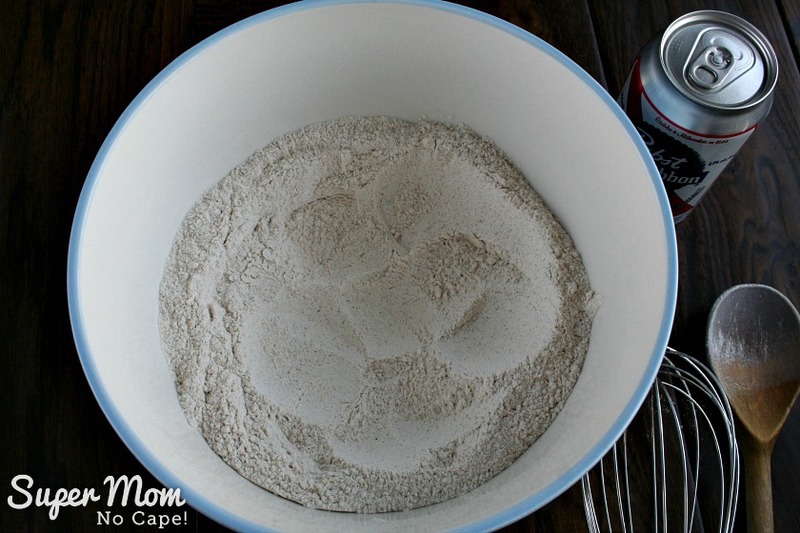 You can use 2 3/4 cups of all purpose flour, if that’s what you have on hand. I make it that way lots of times. I added that note to the recipe so that people would know that they can switch things up a bit to use what they have on hand. Looks delicious! I was only making bread yesterday, and now I can’t wait to try your recipe! 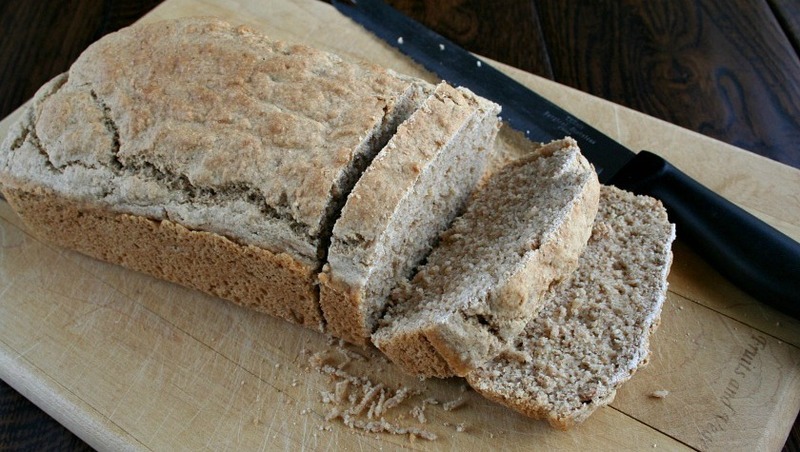 The bread will go nicely with our veggie stew, and maybe I can get away without making dumplings ….. which for some reason I really don’t like making, even though the recipe for that is quite easy too! I’m off to make a shopping list for the ingredients now! Thanks so much Barbara! I hope you do try it. It is sooo good. Ok, I have to try this! And sharing it in a roundup post to publish on 10-14-17. The bread is sooo good. I replied via email but I’ll reply here too. I don’t currently have a print recipe option available on my site, so I’m not sure what message it is that you’re receiving. It might be something in whichever browser you are using but isn’t something that is being generated from my site. A print recipe option is something that we are going to be adding in the future. But I realize that doesn’t help you now. One thing you could do is copy and paste the recipe into a word document or google doc and then print it from there.